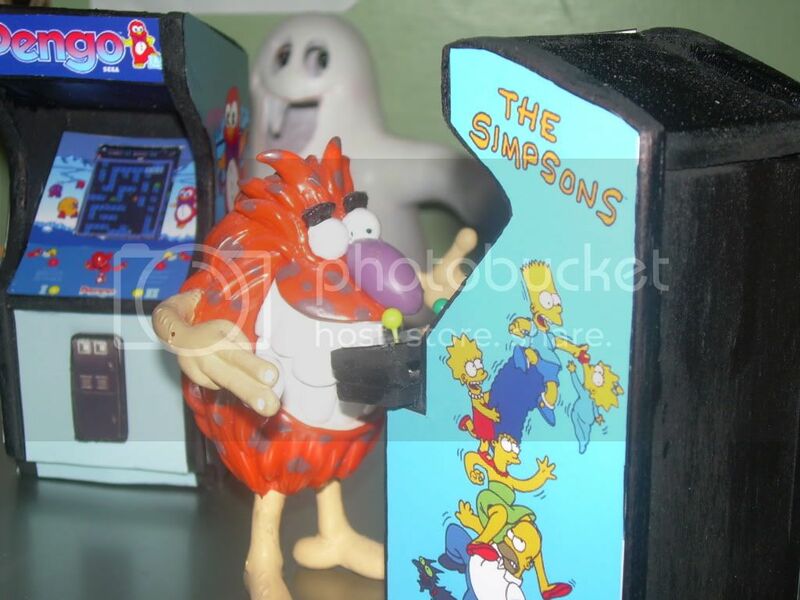 Fancy setting up a mini arcade - on your shelf? Or on top of the telly? Perhaps on your desk? Now you can! 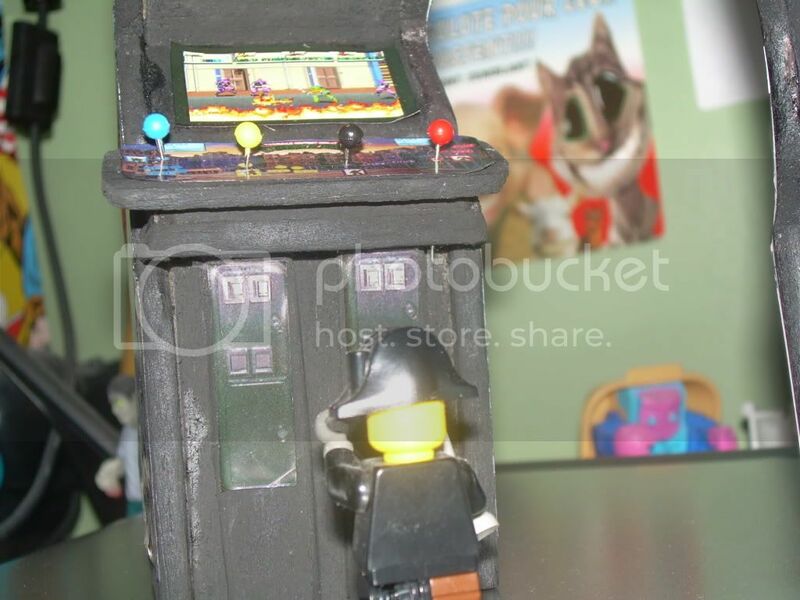 Retro-Heart is a happy human who makes 5" tall balsa-wood models of all your favourite arcade machines, including Donkey Kong, Robotron: 2084, Pac-Man, Scramble... That sort of thing. Obviously they don't actually work, but they look wonderful, and are completely home-made. Made to order as well, and if you can't see a machine that you like - just ask! Can't harm to ask, right? The models are generously priced, usually less than £15 plus postage, and you're kept up to date with emails concerning the status of your order. 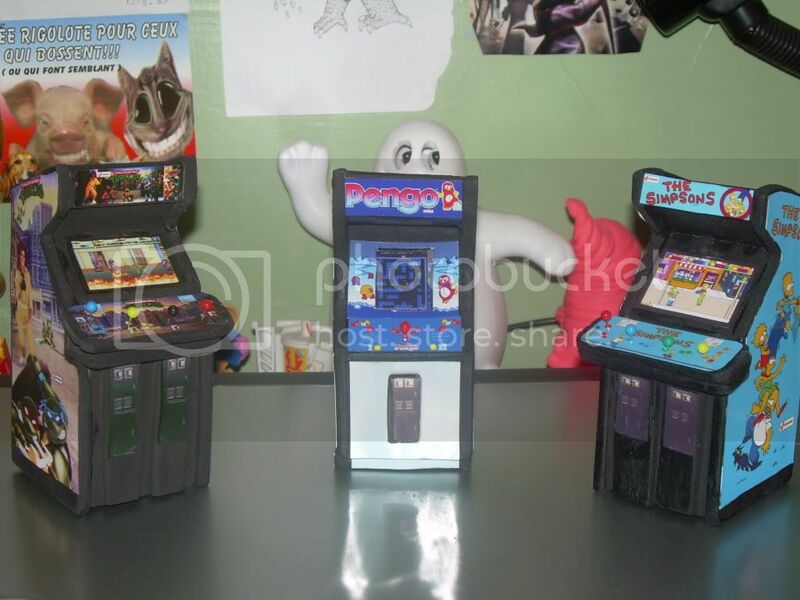 I ordered three "machines" - Pengo, Teenage Mutant Ninja Turtles and The Simpsons - and they were in my house within four days of ordering. Incredible. 40 Mega Drive games for just over a fiver? Scroll: An American version of Retro Gamer? Wow! They're so cute and diddy!